This year Regenda Homes relaunched its Garden Competition in Merseyside. The competition was hugely successful with a lot of entries from across the region, making shortlisting a difficult task. The awards ceremony took place in September and each resident who had been shortlisted was invited to attend and received a certificate. Over 25 residents attended the event and were greeted by staff and got to walk in via a red carpet, rolled out especially for the occasion. Residents were well fed and watered, with a delicious spread supplied by Homebaked, a community land trust and co-operative bakery in Anfield. There were four categories and an award was given for first, second and third place. 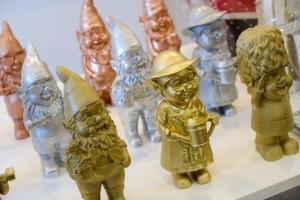 Each winner received a certificate, garden gnome and a voucher. "Food was excellent all staff brilliant"
"Couldn't be improved, absolutely brilliant!" Keep an eye out next Spring to find out about the 2019 Garden Competition!